If you are planning to pursue a rewarding career in the beauty industry, build your foundation at Hair Academy. 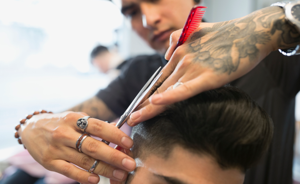 We are dedicated to the training of competent barbers and cosmetologists. At our beauty school, we offer a well-rounded curriculum and training from experienced professionals. Our hairdressing and cosmetology classes will provide you with the skills needed to succeed in this field.